The Tony Bianco Cuoco heels are the tran-seasonal basic your wardrobe needs. 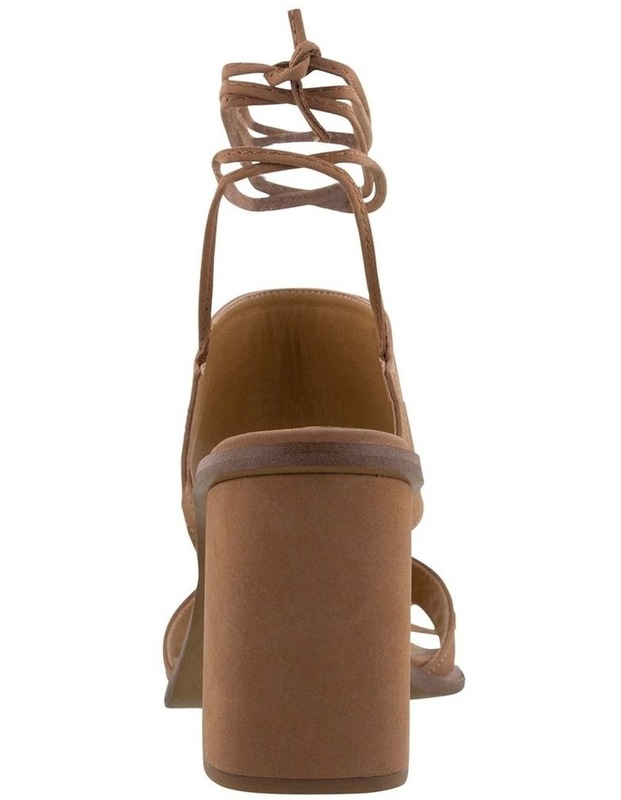 Made from a brown nubuck, the squared open toe sandal is designed with two thick straps across the foot and spaghetti straps that wrap around the ankle. Set on a wearable block heel, they'll cross seamlessly from the office to after-work events.